2016 was the golden anniversary of Israeli archaeologist Michael Avi-Yonah’s model of Herod’s Temple. The model, originally commissioned for the Holy Land Hotel in Jerusalem and part of a much larger model of ancient Jerusalem, is now housed in the Israel Museum. Photo: Steven Fine. The year 2016 marked the 50th anniversary of the now-iconic model of Herod’s Temple created by Israeli historian and archaeologist Michael Avi-Yonah. The model, completed in 1966 after four years of construction, was commissioned by Hans Kroch of the Holy Land Hotel in Jerusalem. After 40 years at the hotel, in 2006 the model was restored and moved to its current home at the Israel Museum. 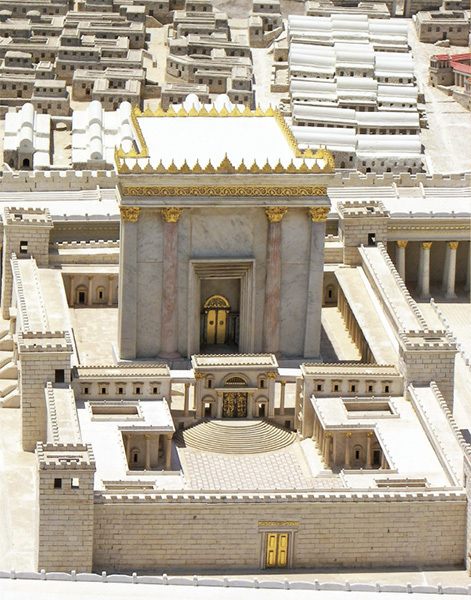 The model of Herod’s Temple is part of a larger model of ancient Jerusalem. It depicts Jerusalem as it was before the Romans destroyed the city—and Herod’s Temple—in 70 C.E. during the First Jewish Revolt against Rome. But just how accurate is the model? In “A Temple’s Golden Anniversary” in the January/February 2016 issue of Biblical Archaeology Review, Peter J. Schertz and Steven Fine discuss this tantalizing question. Michael Avi-Yonah used both textual and archaeological sources—including Josephus’s writings, the New Testament, later Rabbinic sources and depictions on artifacts such as Jewish revolt coins, as well as his own extensive knowledge of Herodian, Near Eastern and Roman architectural styles—to create a “highly fanciful and also highly probable” model of Herod’s Temple. What are some of the other controversies and complications surrounding Herod’s Temple model? For the answer to this question and more, read the full article “A Temple’s Golden Anniversary” by Peter J. Schertz and Steven Fine as it appears in the January/February 2016 issue of BAR. 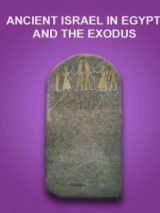 BAS Library Members: Read the full article “A Temple’s Golden Anniversary” by Peter J. Schertz and Steven Fine in the January/February 2016 issue of Biblical Archaeology Review. 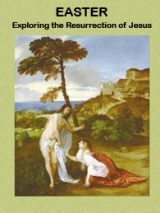 This Bible History Daily feature was originally published on January 10, 2016. @adam and cb: the Western Wall is a remnant of the retaining wall constructed around the top of the mountain…think of it like an upside down shoebox atop a leveled-off mountain peak, w the temple itself built atop the shoebox. The wall was not part of the temple proper. @ Adam This is a question that has troubled me for many years. If Yeshua HaMashiach was correct in His prediction that not one stone of Herod’s Temple would remain standing upon another, then the (so-called) Western/Wailing Wall cannot be a part of that Temple building. Perhaps the greater question has not as much to do with what the Temple looked like, but with where it was sited! Avi-Yonah was a brilliant scholar and he had good reason to do what he did. I love to see and study this particular model, for it helps me understand first-century Jerusalem much better. Herod’s temple was probably quite different than Solomon’s temple. When Josephus is talking about the “early wall” or the “first wall,” his terminology is connecting First Temple and Second Temple Jerusalem. When you look at the model of Second Temple Jerusalem and the Herodian Temple, you get an outline of what First Temple Jerusalem may have looked like. The Second Wall that you see in the model is probably rebuilt from the wall that existed there in First Temple times. The term used by Josephus “early wall” refers back to the First Temple Jerusalem. Thus the walls that Nehemiah built, with a few exceptions, were essentially the walls of First Temple Jerusalem that Nebuchadnezzar destroyed. Thank you Avi-Yonah. Wasn’t Herod’s Temple merely a remodeling of Solomon’s Temple, albeit on a grand scale? BTW, Isn’t the ‘Wailing Wall’ the foundation of one of Herod’s stables? The Messiah said of The Temple that “not one stone would remain on another” and Josephus wrote that “the Romans dug up the Temple’s foundation to get to the melted gold”. And very possibly, Josephus was trying to equal or better the Roman gates. He was a fierce defender of Judaism, and would not have wanted it to even appear to be inferior to Rome. Well, assuming all of that is true and that Solomon did not build his temple under direction from the God who brought them out of Egypt, the temple pictured here is what Michael Avi-Yonah thinks Herod’s Temple looked like. Which was completed some 600 years or so after Solomon’s temple was totally destroyed by Nebuchanezzar and the Babylonians. The Israelites came from Egypt. And King Solomon’s wife was a daughter of a pharaoh of Egypt. And Strabo said that the majority of priests in the Herodian Temple were Egyptians. So I think we could safely assume that the Solomonic Temple would look a lot more Egyptian than the image here. The pillars would have the open or closed lotus capitals, for a start.